Organic Day panel talks specs and critical crop management for meeting buyer quality requirements – Grain Buyers and agronomists spoke to organic growers at Organic Day January 19 about growing for quality requirements. 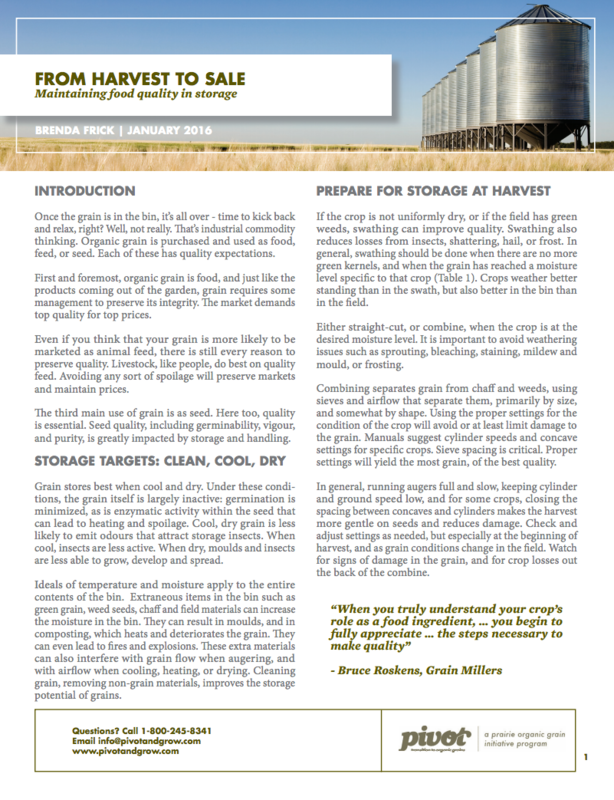 Grain Quality from a Buyers Perspective – article on proper management practices to produce high quality grain. With the Grain: A closer look at the nutrient quality of grain, grain-based products, and the role of organic agriculture – An in depth study on organic grain quality.